WASHINGTON - Measure, the nation's leading provider of drone solutions for enterprise customers, announced today that Penny Pritzker, Founder and Chairman of PSP Capital, has joined the company's board of directors following an investment from PSP Growth, the venture and growth equity arm of PSP Capital. The announcement follows Measure's recent launch of targeted services that provide customers in the energy, construction, infrastructure and media sectors with a full suite of drone services and related actionable data and insights. Ms. Pritzker, a respected entrepreneur and civic leader, served as the former U.S. Secretary of Commerce in the Obama administration. PSP Growth's interest in Measure was driven by its position as a pioneer in an emerging industry with the potential to drive extraordinary value for customers and their business processes. "Many businesses are recognizing that drones can revolutionize their industry, dramatically improving safety, data quality, and productivity while also reducing costs and waste," Pritzker said. "These businesses recognize that they need a partner with technical, regulatory and logistical expertise required to capitalize on this new technology. Measure's solutions offer the benefits of drone data to customers without the complexity." Mike Oleshansky, Managing Director and head of PSP Growth, added, "Measure's team is comprised of highly trained and knowledgeable professionals that are uniquely qualified to provide safe, robust and cost-effective drone solutions to a diverse array of clients around the world. We are excited to support the Measure team going forward." Measure was founded with the idea that most customers are not equipped to manage their own drone programs. Hardware and software agnostic, Measure builds comprehensive solutions from best-in-class technology, including aircraft, sensors, software, and the workflows to deliver consistent results. Measure employs professional pilots and data engineers who provide Drone as a Service®, resulting in actionable data integrated with customer processes and systems. "Penny Pritzker and PSP Growth bring a wealth of experience in building businesses, which is complemented by a highly relevant business network and direct knowledge of the many industries we serve," said Measure Chairman and co-founder Robert Wolf. "PSP Growth recognizes the incredible value drones can provide across the economy, and was in particular excited by how Measure is putting military veterans to work today delivering value to customers." With thousands of flights completed and a spotless safety record, the company has quickly become the industry standard for safe, legal, and insured operations. Measure's newest solutions serve the solar and broadcast news industries. 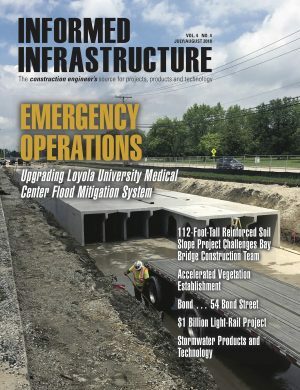 Measure also serves customers in infrastructure, construction, media, public safety, and other areas, and plans to continue bringing new solutions to market in the coming months. "Early in our conversations, Penny Pritzker and the team at PSP Growth zeroed in on the value we are able to bring to Fortune 500 companies like Verizon and AES," said Brandon Torres Declet, Measure CEO and co-founder. "She knows first-hand what it takes to grow and scale a company, and we are very excited to have the guidance and support of Penny and PSP Growth as we continue to introduce groundbreaking solutions and deliver value to our customers." Measure is the nation's leading Drone as a Service® company, providing solutions to acquire, process, and deliver actionable aerial data and media to enterprise customers. The company has pioneered drone applications in telecommunications, construction, energy, disaster response, live media coverage and other areas, utilizing best-in-class drone technology. Measure employs highly experienced pilots, trainers, and data engineers to execute safe, legal and insured missions that help customers achieve new cost and operational efficiencies. For more information, visit www.measure.com or follow the company at www.facebook.com/MeasureUAS/ and on Twitter at @droneasaservice. PSP Capital is a Chicago-based global private investment firm founded by its Chairman, Penny Pritzker, an entrepreneur, civic leader, and philanthropist, and former U.S. Secretary of Commerce. PSP Growth is the venture and growth equity arm of PSP Capital, whose mission is to support entrepreneurs and build market-leading businesses, with a primary emphasis on disruptive technologies, tech-enabled services and privacy/cyber-security. With a patient and significant capital base (investing from the balance sheet, not a fund), long history of building businesses and global network of deep relationships, PSP Growth is uniquely positioned to support the strategic growth objectives of its businesses and entrepreneur partners. For more information on PSP Growth, visit www.pspcapital.com/pspgrowth.